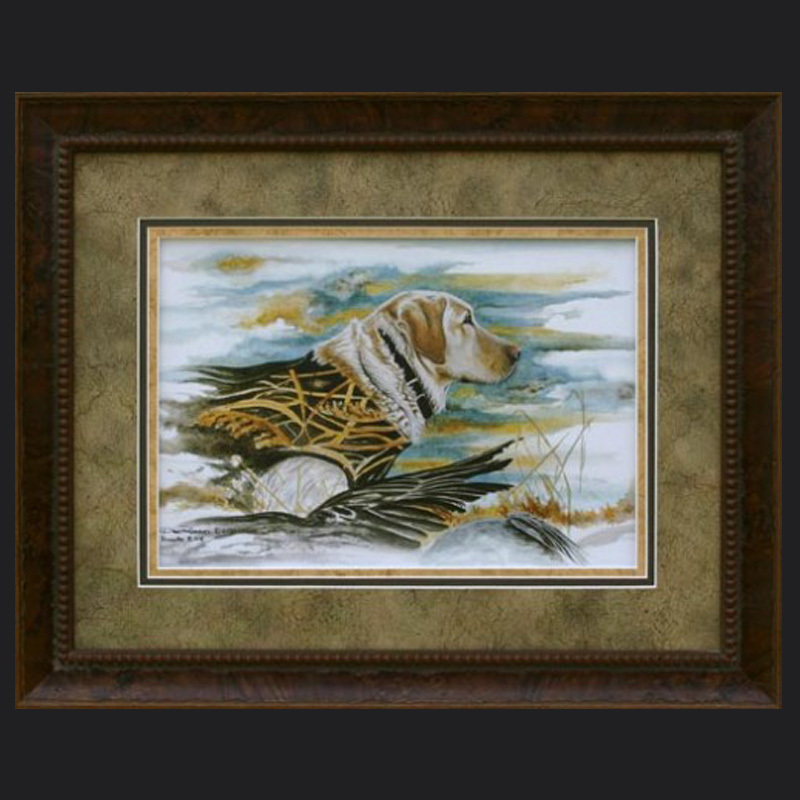 This Giclee print on paper is s/n to 125 prints & 15 Artist Proofs. These are available framed with or without the torn edge. 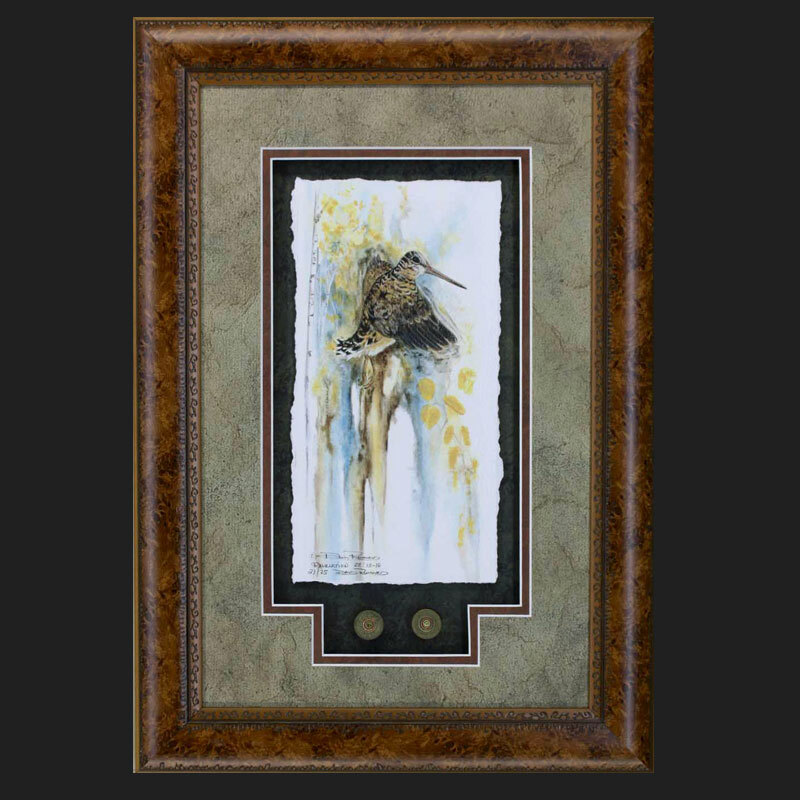 ” Finer Things II ” was reproduced as a Giclee print on fine art paper. This edition is s/n to 125 prints. 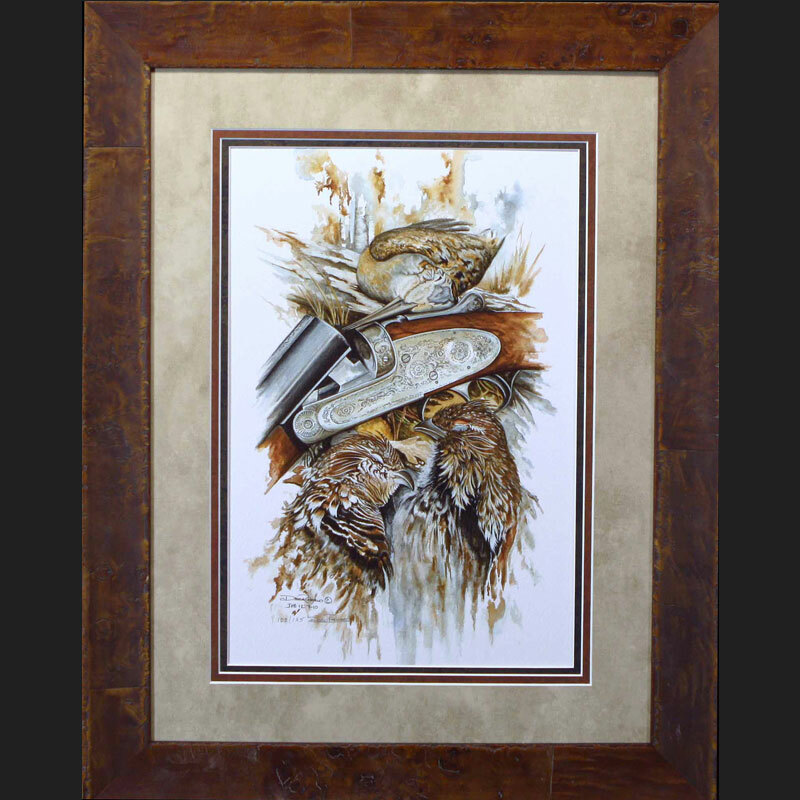 The Ruffed Grouse Society received 100 of these prints to raise funds at their dinner banquettes. Ruimveld Studio kept the remaining 25 prints of this edition along with the 15 Artist Proofs to sell through the studio. 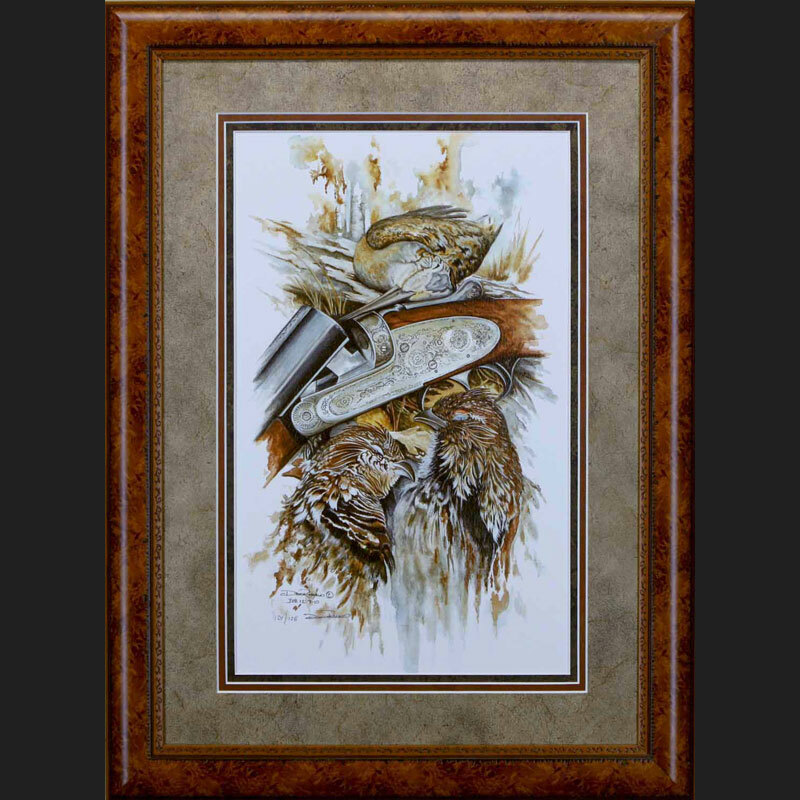 This print features a woodcock and a pair of grouse lying alongside a side by side shotgun. 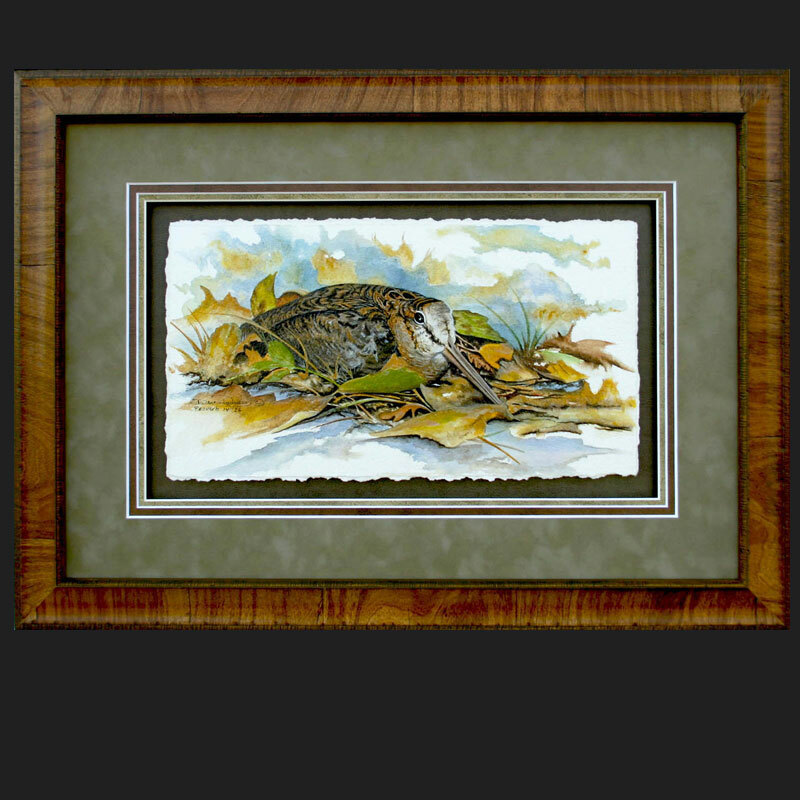 This print can be framed with a torn edge showing in a shadowbox style. 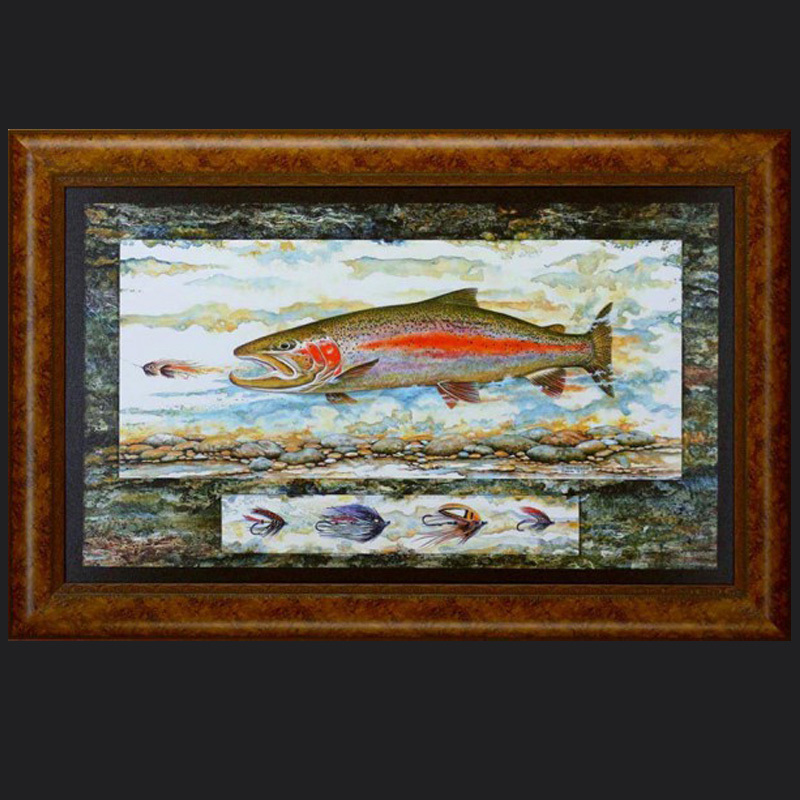 The original painting of this image is available at the studio. 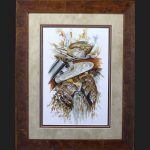 Contact me for additional framing styles.